It's time to crown the regular season supreme ruler of shoe game. The 82 games are up. The NBA Sneaker Kings have all submitted their résumés throughout the season and it's finally time to crown the player who showed off the league's best shoe game this year. Like never before, the new-and-improved sneaker guidelines opened the door for a new wave of NBA sneakerheads to show off their incredible collections. The amount of creativity and originality displayed through shoes on the hardwood this season was unprecedented. And like everything they do, NBA players turned the ability to wear whatever shoes they wanted on the court into a race for shoe supremacy and tried to one-up each other on a nightly basis. Cracking the top 15 on any given week was difficult, but that pales in comparison to making the final rankings when the crown is finally being handed to the 2018-19 NBA Sneaker King. Furthermore, we're even going to break up the final batch of rankings into three teams: Third Team All-Sneaker King, Second Team and First Team, just like the official All-NBA Awards. Warriors star Kevin Durant is one of the few players to debut a new signature shoe this season, something that holds a lot of weight and why he ends up on the final regular-season rankings. Prior to bringing out the Nike KD 12, Durant made waves in the sneaker community with some of the best colorways of the KD 11, including the KD 11 "Aunt Pearl" and the KD 11 "Texas Longhorns" PE. The classic KD 11 colorways combined with a state-of-the-art new signature definitely enforced Durant's place as a sneaker king this season. Pistons guard Langston Galloway took the NBA's updated approach to what sneakers players can wear on the court and absolutely ran with it. Galloway made the Sneaker King Power Rankings five times during the 10 editions in the regular season and when he didn't make the cut he was just on the outside looking in. Galloway, who's one of only three players signed to Q4 Sports, took on the challenge of wearing custom designed shoes for nearly every game this season. One of his best overall shoe highlights came when he broke out a design honoring Black History Month. The shoes were designed by customizer Andrew Lewis (@andr3wtl on Instagram) and featured inspiring quotes and the images of iconic black figures. If the sneaker community didn't know who Langston Galloway was before this season, they certainly do now. He's legit. #LGKicks Brought Out The #BHM!! Kings point guard De'Aaron Fox took a massive leap with his game this season, helping the Kings remain in contention for a playoff spot deep into the year for the first time in a long time. The second-year player out of Kentucky spent all season out-pacing opponents and doing so in style. Fox showed off his insane collection from the high-top Nike Kobe line while breaking out rare gems on special occasions. One of his shoe highlights came when he broke out the Nike KD 4 "Black History Month," during a couple of games in February. With Fox, there's no question that the future is bright in Sacramento and we'll get to see some rare kicks along the way. "BHM" KD4 x Headband. Talk to me nice, Swipa. Hawks forward Taurean Prince is a legit figure in the NBA sneaker world. He made the cut in our Sneaker King rankings six out of the 10 editions and made it all the way up to No. 3, which is no easy feat. Prince ran through all the major points of the shoe game this year, wearing retro Jordans, custom kicks and beyond. He also enjoyed showing off his beyond rare collection from the Nike LeBron signature line, nonchalantly breaking out the exclusive LeBron Zoom Soldier III "Fairfax" for his absolute highlight shoe of the season. We usually don't condone being a show-off, but with a collection like Prince's, we honestly can't blame him. Heat highlight machine Derrick Jones Jr. is a force to be reckoned with when it comes to kicks, and he'll yell it out in the locker room to let his teammates know. There's truly no limit to the confidence he has in his sneaker collection. And he has a point. Airplane Mode made the Sneaker King Power Rankings at a 60 percent clip this season. His high point came fresh out of the All-Star break when he broke out two eye-popping and rare kicks in the same game, one from the Nike LeBron line and the other from the Nike Kobe line. We also can't forget the time he rocked the custom baby blue Jordan 11 kicks with his nickname scribbled across as if it were written in the sky by an airplane. This guy gets shoes. Next season will be FUN. Derrick Jones WENT TO WORK tonight. “Rice” Kobe 6 and “CTK” Bron 6. Lakers star LeBron James usually saves his best kicks for the second half of the season. This year his usual routine was thrown off by an injury that sidelined him for a month and that put a light damper on the annual LeBron Watch when it comes to his exclusive kicks. The King made it up to us, though, upon his return with a number of amazing colorways from his Nike LeBron 16 signature line. Keep scrolling to check out his top highlights from this season. Mavericks rookie Luka Doncic really took the NBA by storm this season. His game was an instant hit, his personality is vibrant and, for our purposes, his shoe game is legit. Doncic was one of the many players who took advantage of the NBA's updated sneaker rules and used that to show off his personality through custom kicks. Customs aside, Doncic also frequented the best kicks from the Nike Kobe line as well as the Nike Kyrie line. It's clear the kid knows what he likes and the sneaker world greatly appreciates it. Tobias Harris started this season on the Clippers, then was traded to the 76ers. New uniform, new address and zip code but one thing always stayed the same: rare gems from the Nike Kobe line on a nightly basis. Harris was a constant on the Sneaker King Power Rankings, making the cut eight of the 10 editions. Along with guys like DeMar DeRozan and Isaiah Thomas, Harris is one of the few active players that can stake their claim for the best Nike Kobe collections in the league. Keep scrolling to check out some of his best kicks of the season. Thunder star Paul George was in his bag this season. He enjoyed one of the best year's of his career on the court, while also debuting a new show in his Nike signature line. Before breaking out the Nike PG 3, George completely took the Nike PG 2.5 and made it one of the most popular hooping shoes in the NBA. PG-13 was a constant in our Sneaker King Power Rankings, making the cut nine out of the 10 editions. Check out below for just a glimpse at George's incredible sneaker run this season. Heat legend Dwyane Wade gave us a season we won't soon forget during his #OneLastDance retirement tour of the NBA. He also did it in style, obviously. Wade was a regular in the Sneaker King Power Rankings, making the cut eight times in 10 editions and peaked as high as No. 3. Father Prime absolutely rocked the best his signature Li Ning Way of Wade line had to offer this season and even went the custom route on occasion to keep us guessing. A sneaker icon, Dwyane Wade. Celtics point guard Kyrie Irving thrived with his Nike Kyrie 5 signature line this season. He showed off player exclusive colorways on the regular and even went as far to show off colorways from the top Nike schools across the nation, including Duke, UConn and Oregon. That's a boss move. Keep scrolling to see why Uncle Drew is a bonafide First Team All-Sneaker King selection. DeMar DeRozan could retire from the NBA today and just start a new career as curator in the Nike Kobe line museum. He's hands down the owner of the premier Kobe shoe collection in the NBA and he loves to rub that in our faces on the regular. DeRozan made the Sneaker King Power Rankings cut an impressive nine out of the 10 editions, something only topped by the three individuals ahead of him in this final draw. Do yourself a favor and check out his highlights from this season. You won't be disappointed. It's only fitting that Russell Westbrook, who finished the year averaging a triple-double for the third consecutive season, finishes in the No. 3 spot in the regular-season finale of the Sneaker King Power Rankings. Westbrook is a symbol of consistency when it comes to his kicks, making the cut in every single rankings we produced this season. Simply, The Brodie always came through with some fire from his signature Jordan Why Not Zer0.2 line. Check out his season highlights below. Clippers big man Montrezl Harrell is the NBA sneaker game's No. 1 contender and it's not really close. Harrell made our Sneaker King Power Rankings all 10 editions and is the ONLY player in the league not named P.J. Tucker to claim the top spot in these rankings at some point this season. Harrell shows off his versatility and creativity through his kicks and has taken the challenge to never wear the same pair of kicks throughout a full game. So if you turn away from a Clippers game in the second quarter, I suggest you check back in during the second half because he's undoubtedly rocking a new pair of kicks. If anyone can take the crown next season, it's Harrell. P.J. Tucker is a pioneer when it comes to the NBA sneaker game. He's been doing this for years and finally receives the recognition for the level of dedication it takes to pull off what he does on a nightly basis. We've documented his reign throughout and he's secured the No. 1 spot in nine of the 10 editions of the Sneaker King Power Rankings. He has Jordans that Michael Jordan doesn't have. Kobe line kicks that Kobe hasn't laced up. Kevin Durant Nike shoes that K.D. hasn't secured. Tucker is paving the road for elite NBA sneakerheads, he's set the bar incredibly high, and for the rest of the league that means they have to raise their shoe games up. And at the end of the day, we will all benefit. What a time. 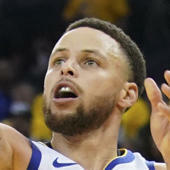 These are the players who've also shown they can bring it when it comes to elite on-court footwear this season: Lakers forward Kyle Kuzma, 76ers swingman Jimmy Butler, Knicks guard Allonzo Trier, Warriors guard Stephen Curry, Celtics swingman Jayson Tatum, Nets guard D'Angelo Russell, Nets guard Spencer Dinwiddie, Heat big man Bam Adebayo, Lakers guard Lance Stephenson, Celtics forward Marcus Morris and Nuggets guard Malik Beasley.